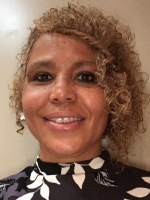 Hello, my name is Vanessa, I am a qualified integrative counsellor, I offer counselling in Leeds and Wakefield. I am passionate about supporting others. I work with children from 11 years old, young people and adults who need help with a wide range of difficulties, experiences and life stages. I offer an integrative approach because we are all unique individuals. I believe it is important that counselling techniques are tailored to your individual needs to assist growth and change. I will explain the different approaches before we use them in our work together and you can decide if they will be helpful for you. I help clients discover new ways of understanding problem areas which helps clients to build and utilize strategies and tools. This can enable dealing with and overcoming problematic issues, difficulties and experiences in more effective and lasting ways. Counselling can help overcome your painful experiences and feelings. I provide a confidential, warm, friendly space where you are listened to and what you say matters. My role is to help you make sense of your world so you can discover how to move forward and lead a happier, fulfilled life. What I want to offer you as your counsellor. Empathy, unconditional positive regard, genuineness and trust. l will provide a safe, comfortable, confidential environment to listen and accept what you know and feel without judgement that values your feelings, views and difficulties. I will work at your pace and use approaches that are best suited to your needs and difficulties to assist you to understand your experiences, thoughts and feelings. Together we can work out what you need to do so you can make your own choices.